Once again we leave the alpingasthaus Bergheimat, drive down the winding switchbacks to Mühlbach am Hochkönig, continue to the autobahn, where we drive at high speed to Salzburg. We pull off the autobahn at the Salzburg Park/Ride sign and park in the lot. The bus to Salzburg center takes only a few minutes, and gives us nice river views. We catch a glimpse of the castle. We get off the bus and walk across a bridge across the river into the old town. 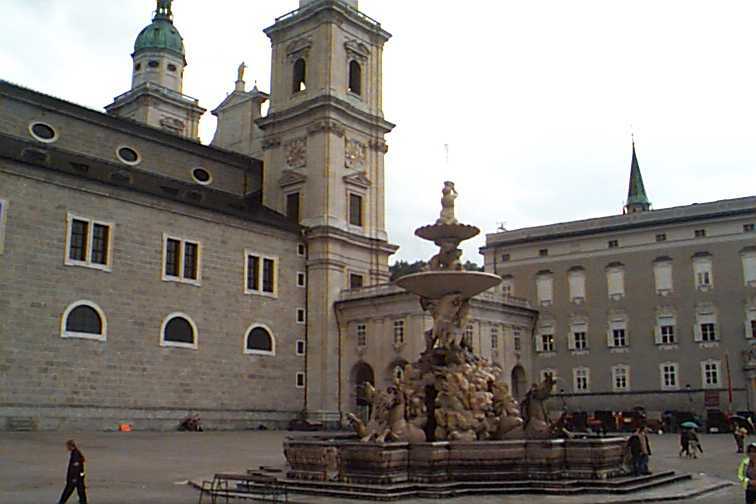 On the way to the center of town we pass by a huge fountain. Four horse sculptures stand under the water fountains. We come to the center of town, the main place. A concert is going on to our right, and before us lies the castle, on top of the hill. Rain has most of the tourists huddled in their hotels, but it's only a mist and rather pleasant. 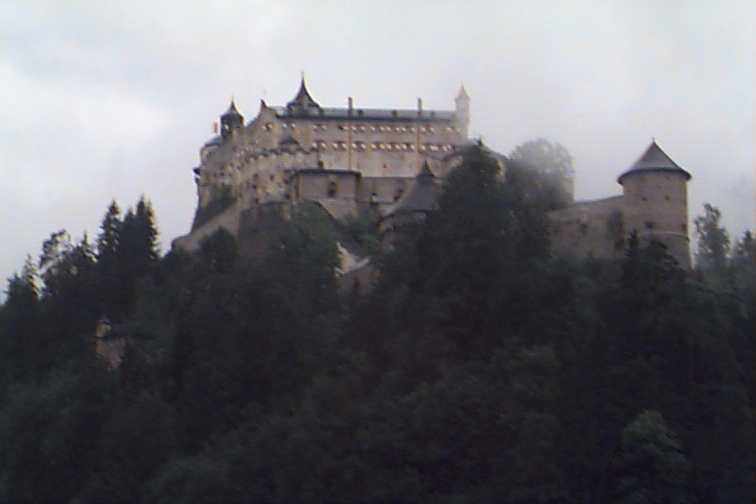 Directly across from us are two ways up to the castle, the footpath and the funicular (an elevator which travels up a slope, rather than straight up). 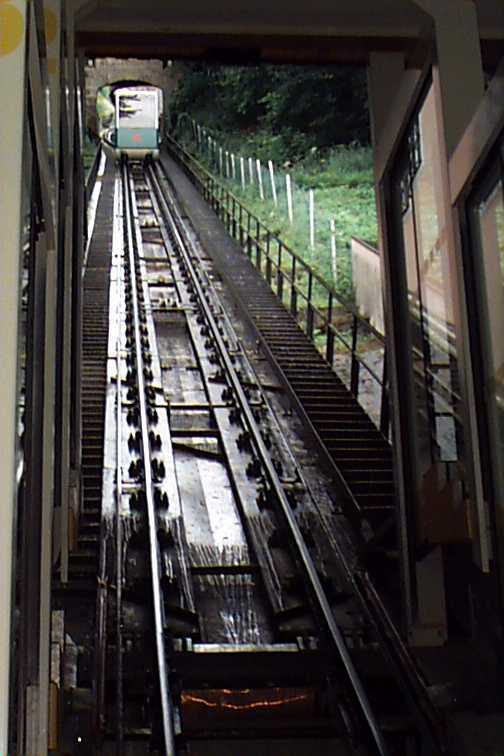 We opt to use the funicular. The line moves quickly, and within a few minutes I'm looking at the funicular's rails. As we take the funicular up I wonder what we'll see in the castle.